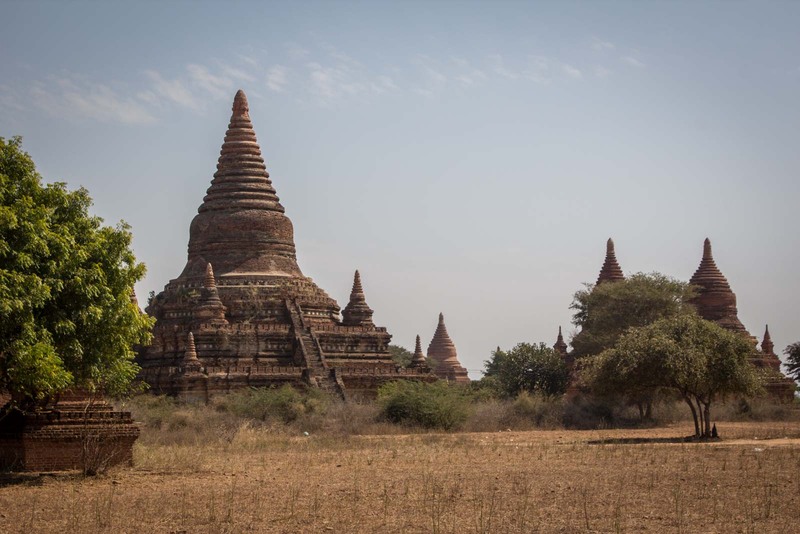 It’s not clear exactly what happened to Bagan and how one of the greatest cities in Southeast Asia was left abandoned. Perhaps it was an invasion by the Mongols… perhaps it was the fear of an invasion by the Chinese. Regardless, historians agree that sometime towards the end of the thirteenth century the population fled and left the enormous complex of incredible temples and palaces to the will of fate. 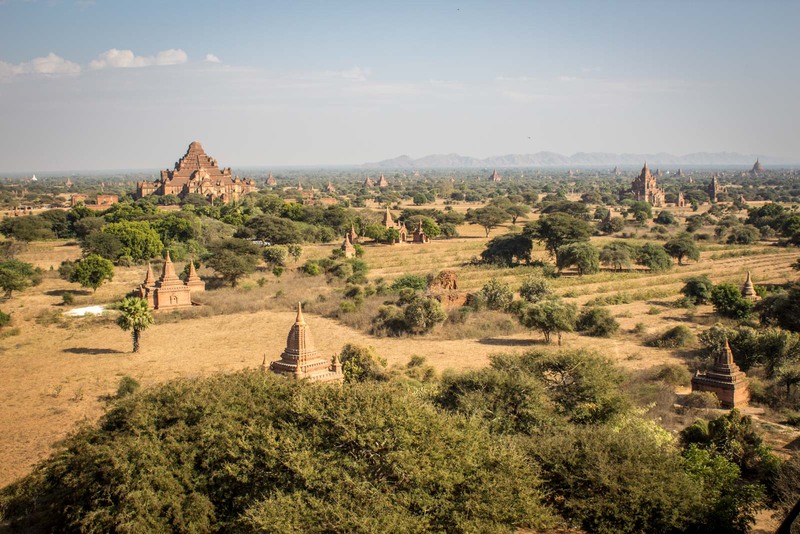 As it so happens, much of ancient Bagan has survived until today and it’s now one of the most important sites in Myanmar – if not the whole region. 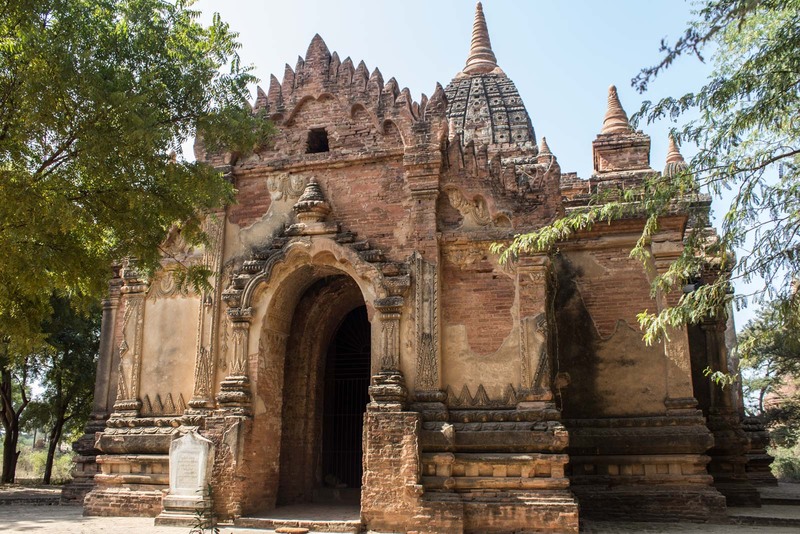 The grand palaces, monasteries and official buildings would all have been made of wood and have been destroyed but the temples and pagodas were all made of stone and are still standing in surprisingly good condition. From the top of the taller temples you can look out across the lands and see the religious structures for as far as they eye can stretch. It’s said there are more than 4,000 temples over an area of more than 20 square kilometres… but when you’re talking about numbers that large, it’s hard to be exact. All through the bushland of the region, the buildings poke out, different shapes and sizes, like grand old monoliths breaking out through the ground. For about four centuries after the builders of the great city left, the area was left relatively untouched. It was considered to be haunted and the local people avoided it as much as possible. It means that newer developments and communities didn’t overtake the land, so between each temple is just empty open space. You could spend as long or as little time as you choose to explore the area. In one day, you can get around on a bicycle and see a large number of temples. Or you could spend several days and really explore the variety on offer. Inside many of them, small and large, are the faded remnants of murals on the walls and ceilings, or the religious relics the buildings were originally made to hold. It truly must have been a grand city once. 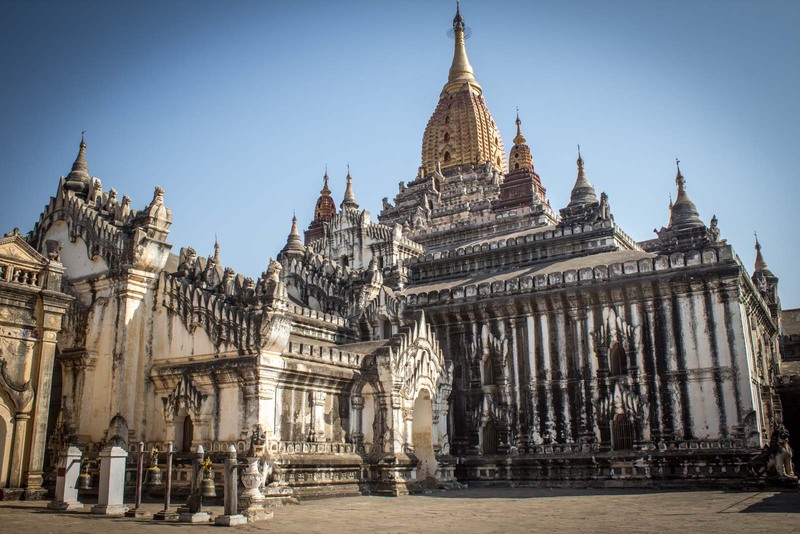 The main period of construction here was begun in the 11th century by a king called Anawrahta who had been converted to Theravada Buddhism and wanted to prove his devotion to his newfound faith. The building programme was continued by his successors during a period that would rival any great imperial expansion of the modern era. The scale can seem daunting at first and it’s difficult to truly get a sense of how large the whole area really is. But slowly you begin to feel comfortable in the surrounds of the ruins. They have a calming effect – especially the smaller ones where quite often you will be the only person there. Walk inside and cool air will give you some respite from the beating sun outside. 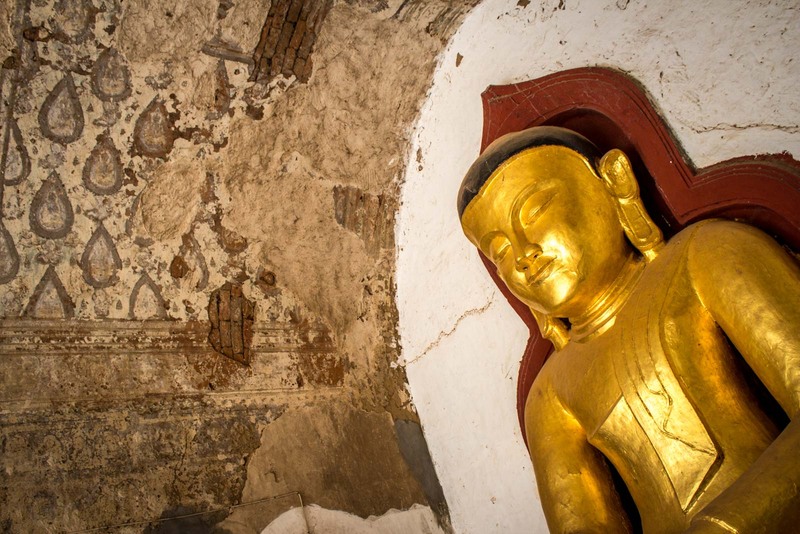 The noise of the world will disappear and the Buddha statues will almost speak to you with their ancient tongues. 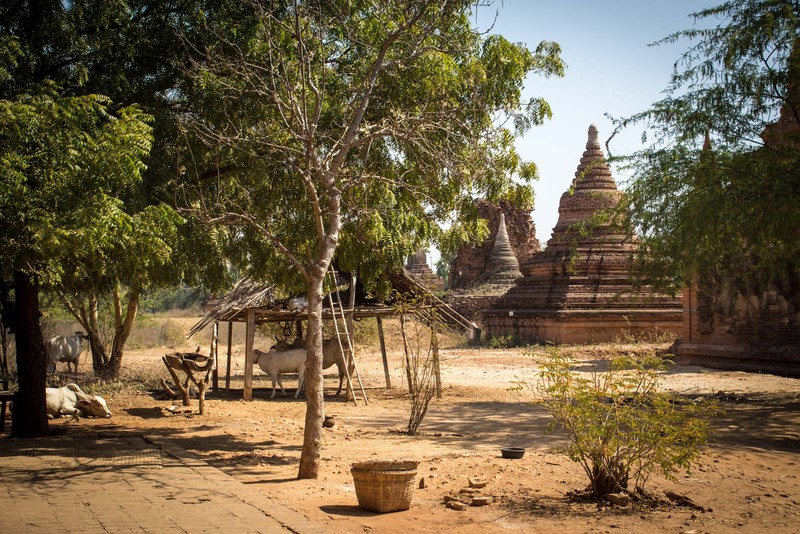 The local Myanmar people were on to something when they felt that Bagan was haunted – but it’s not by evil spirits, as feared. It’s by the spirituality of a land where the total is more than the sum of its parts. These days people still come and worship at the temples. It doesn’t matter they were built almost a thousand years ago – this is still a special and sacred place and to see it as a collection of ruins is to underestimate the connection between the earth and the divine. Really-really want to go there. It’s a pretty breathtaking place. You should try to get there before it becomes even busier! Enjoying your observations from Burma, Michael. Thanks. It’s a fascinating country and one that many people haven’t had a chance to come to yet. I’ve got a bit more to share and hopefully it gives people a good sense of the place. That’s absolutely incredible. I really wonder what happened to make the people abandon such a city. Well, it has something to do with invasion… the historians just aren’t exactly sure whether he place was invaded or whether everyone fled before it came to actual conflict. It’s a bit sad that it was built up with such dedication and then they just had to leave it. Lovely images. Have always been intrigued by ruins and ghost towns. Who knows what secrets such places hold. 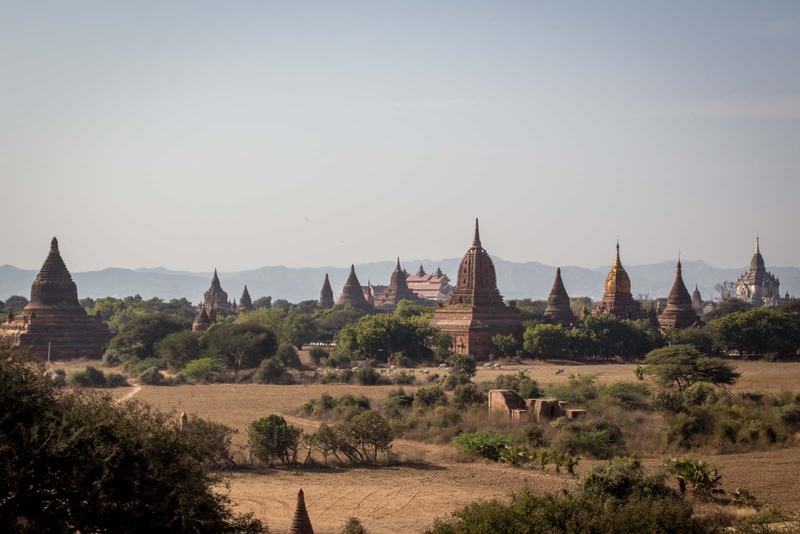 Bagan has to be my top reason to visit Myanmar. I could explore these temples for days together. 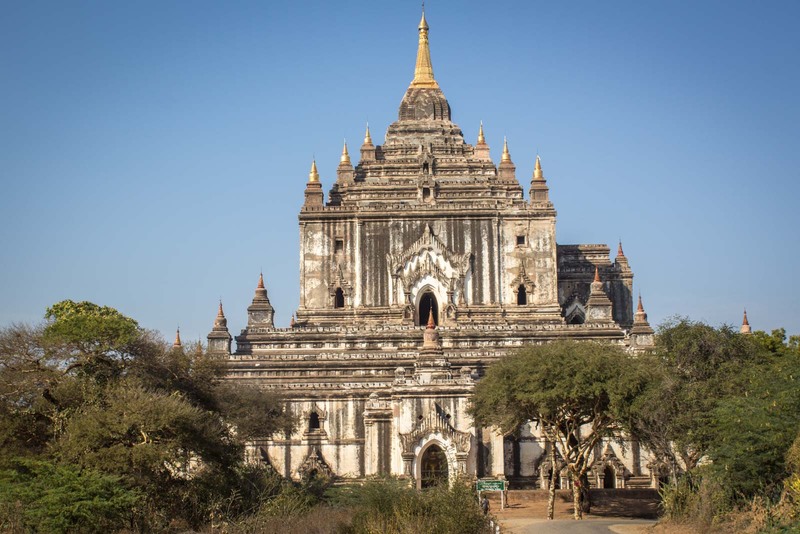 A lot of people do explore the temples of Bagan for days. Once you get away from the dozen really popular ones, there are hundreds you can go into and see without any other people there! This is really wonderful, mesmerizing and so beautiful. What a beautiful landscape, a wide spread area dotted with tiny and big beautiful temples. I think Began should stand out as one of the top most world heritage sites. I am scratching my head, why I did not hear about it before. Best part is that it has survived and exists completely untouched and in such a fine shape. Thanks Michael for this wonderful blog! Hopefully Bagan will end up on UNESCO’s World Heritage List at some point. It was considered and rejected quite a few years ago because of the way it was being conserved… but there have been a lot of changes since then and another attempt would probably be successful this time, is the general feeling. Beautiful! That’s one place that’s high on our SE Asia travel list. Personally I think Angkor in Cambodia is more impressive – but there is something really exotic about this one. And it doesn’t have nearly as many tourists, which really adds to the experience! How impressive is that! And quite enigmatic… Would love to spend a couple of days there, wandering around (and probably silently dying in the heat)! You need to take lots of water. That’s my tip for you! You can buy drinks near the big temples but not always once you venture outside to explore the cool smaller ones. I repeat, take water. Urine is not tasty, I’ve been told, so don’t let it come to that! Fantastic, it’s my dream to go to Myanmar, I hope I’ll make it this year. It would be tricky to be away from the modern lifestyle if you’re not comfortable in uncomfortable situations. 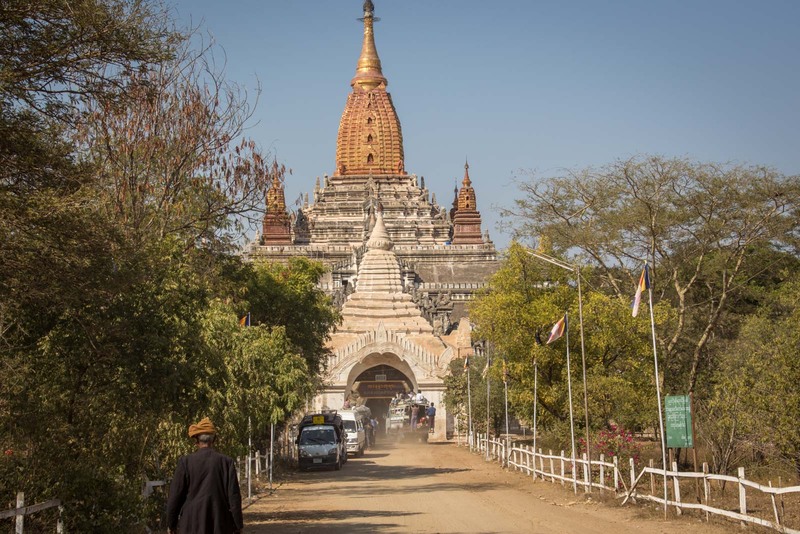 Doing Myanmar independently takes some effort – but doing it as a package tour doesn’t let you get to the heart of the culture. 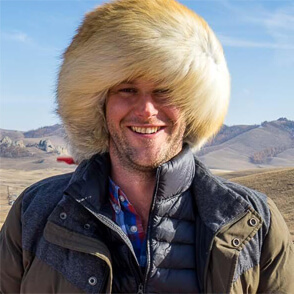 It’s a great place to visit if you want a unique experience, though. You’re going to love it! Hopefully I’ve been able to provide a little bit of inspiration for some things to do off the beaten track. Wow, seems like you’ve had much more luck with the weather, the view of the temples etc. than Miss JustTravelous and me in November! 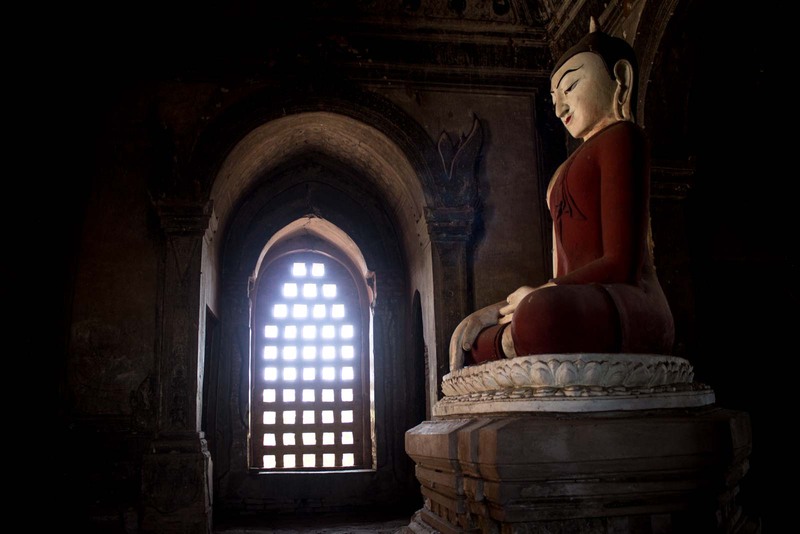 I still feel a little ambiguus about Bagan and the whole of Myanmar. Your posts make me want to go back and give it a second try – it was a special, kind of magical place after all. I definitely had luck with the weather. Not a drop of rain the entire four weeks and pretty much bright blue sunny skies every day. February is traditionally the best time of year to visit, though, so no surprises there. I remember reading some.. let’s call them ‘ambivalent’ thoughts from you guys when you were in Myanmar. But honestly, having been there for a month, I don’t understand them. I fell in love with the place and it’s been one of my favourite countries to visit for quite a while. Of course there were some negatives, but that goes with the territory. Maybe you’ll get back there under different circumstances sometime. I’mvery interested to know about the history of this place… such vast land with so many pagodas… who wouldn’t be interested to know? Going here next year and it will be a dream come true!! You will love it there next year! 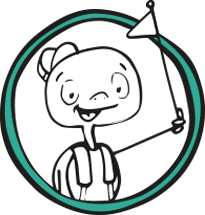 There is so much to learn and see! Are bikes available for renting to go around?? Will be in Myanmar on March2014. It’s incredible to think about how it would once have been, isn’t it? I bet it was a pretty impressive place when it was full of people. And, yeah, everyday life would have been very interesting! Hi Tega. 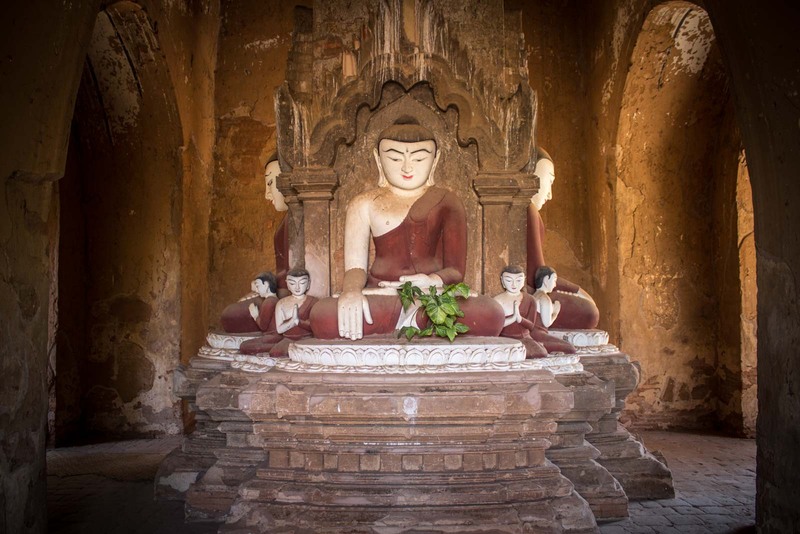 Buddhism was definitely by far the most important religion in Bagan – althought there were a few different strands that people followed. There were also some influences from Hindu religions and from indigenous pagan religions… although these were all fairly minor in comparison to Buddhism. We never experienced that breathtaking panoramic view. This article gives you a sneak peek into the beauty of these places. three attractions are described below. Thanks Maro. I really appreciate the comment. 17 days is a great length to be there. I always advise people to go for more than just a few days. Hope you have a great trip!